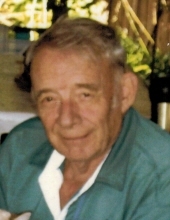 Donald Brown, age 88, of Wisconsin Rapids died March 26, 2019 after a prolonged illness. Donald was born in the town of Winterset in Madison County Iowa. Joined the Army and met his wife of 67 years while stationed at Fort McCoy. He was then deployed to Germany where he completed his service to this country. After his return he held various occupations until he settled in Wisconsin Rapids and worked 28 years with Consolidated/Consoweld until his retirement. He is survived by his wife Catherine Brown; two daughters Dianne (Ron) Hahn and Cheryl (John) Pischel and two sons Jeff (Patricia) Brown and Jim (Jan) Brown; 6 grandchildren Shawn Plante (Glenna), Ryan Brown, Kristal Brown, Taylor (Daniel) Fickenscher, Daniel Brown, and Kayli Brown. Services will be held on Monday, April 1, 2019 at John J. Buettgen Funeral Home 631 E. Grand Ave, Wis. Rapids. Visitation will be from 10:00-11:30 with a short service at 11:30. Burial will take place following at Pioneer Cemetery with full Military Honors. To send flowers or a remembrance gift to the family of Donald Brown, please visit our Tribute Store. "Email Address" would like to share the life celebration of Donald Brown. Click on the "link" to go to share a favorite memory or leave a condolence message for the family.